If you have a middle school girl in love with horses, you’ve probably already seen the whole Black Stallion series in her hands. Once a girl catches “horse fever,” she will do almost anything to get her hands on a horse–or books about them. I know. I’ve been there. Bitten by the bug around age eight, I didn’t get my own until I was fourteen. I begged, borrowed, and weaseled my way into horse rides while devouring every horse book we owned and the ones the library had to offer. Why should you encourage this in your own daughter? Let me tell you a secret which I never heard as a child. Horses actually teach us to be better people. 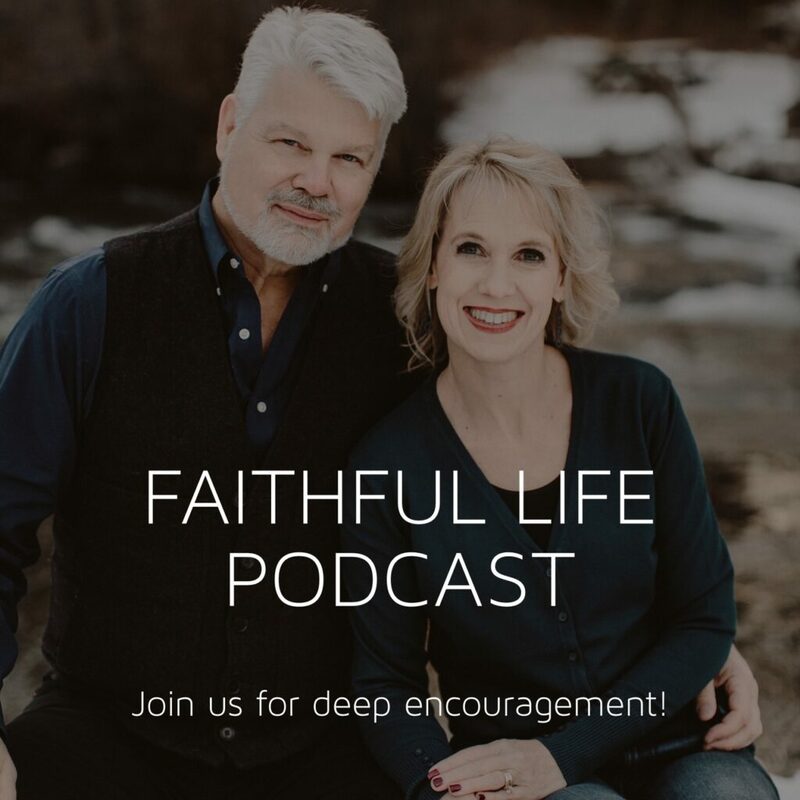 The lessons cover subjects like how to fall and get up again, how to fail but keep trying until you succeed, how to control emotions even when nerves race out of control, how to work as a team with people and horses, and how to trust. You have to learn how to work. Cleaning stalls, hauling tack, and all the other tasks require muscle and endurance. You learn that serving is an expression of your love. If you come back from a hard ride, the horse gets water, food, brushed and put away before you take a rest. But mostly importantly, you learn how to love. Unlike what a lot of horse books may portray, it’s not always easy. Sometimes you can’t even catch your horse. Some days you fall face first in the mud and the muck. Horses still need to be fed when there’s a blizzard, hail storm, or freezing rain. Through the hard times, you learn that love makes sacrifice a desirable task. So if your middle school girl has “caught the bug,” rejoice! If she finds a horse to ride, she will experience these lessons and grow into a stronger woman. Even if all she can do is read horse books, these lessons will still soak into her being while providing her with hours of great adventures. With Misty of Chincoteague, she will learn how to stand up for those who can’t, Black Beauty will make her weep for the abuse done to this magnificent creatures, and Frog, the Horse that Knew No Master will show her how love can change anyone or anything. Here’s a list of great horse book to delight (and teach, but that’s our secret) your middle school girl. Time to saddle up your pony and ride! 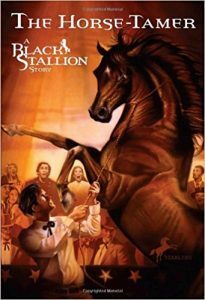 Everyone knows Walter Farley’s series, The Black Stallion, which should not be missed. However, The Horse Tamer is one of my top favorite horse books as a girl and as a woman. Bill Dailey was the first horse whisperer in the days when the automobile was first being used. In a world that used force to train a horse, Bill Dailey works with the horse. It’s an excellent look at different training methods. 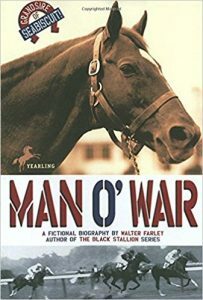 While we are talking about Walter Farley, make sure to check out Man o’ War, about one of the greatest racehorses of all time. 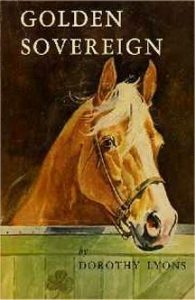 Told from the perspective of the groom who loved Man o’ War from a foal, it covers the training and racing of this magnificent horse. If you ever get a chance, stop by the Kentucky Horse Park in Lexington, Kentucky to see their memorial of him. Seeing the length of his strides is an unforgettable event. If your girl loves Narnia and horses, check out this series. Excited to move to Shalock Stables, Geona falls in love with a wild filly. But Geona is not allowed around the horses, and the trainer is mean to the horse. Can Geona rescue Ember and convince the horse to love her? Check out the prequel in which homeschooled Geona writes about Anwen, a young lady who rescues a wild stallion and finds herself in a great adventure. 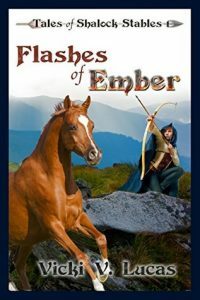 There is also the sequel to Flashes of Ember, called Ember’s Choice. 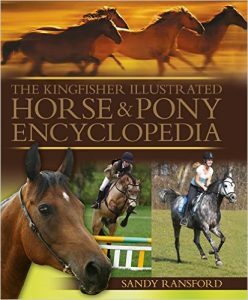 Each book ends with a “Horse Hints” section which gives training tips and other facts. Connie Maguire has a dream of taking her horses she has now and building a horse farm. With a beautiful and charming young stallion, all is working in her favor until the stallion suddenly becomes ill-tempered. Filled with pages of training and the beauty of horses, Connie is a determined college-aged girl with a dream she works hard to bring into reality. 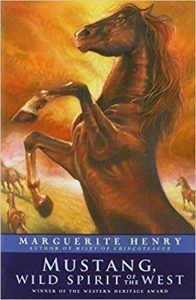 You may recognize Marguerite Henry’s name due to the Misty of Chincoteague series. 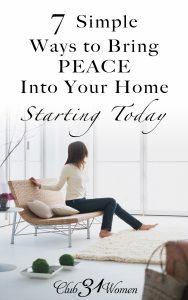 Make sure to read those books, too, but don’t miss this one. As a girl, Annie fell in love with the mustangs. After surviving polio, she returned to her ranch in Nevada where she saw the killing of wild horses for dog food. She takes on the task of making a law to protect the mustangs. What I found fascinating is that the bill wasn’t taken seriously until children began to write their senators. There are so many things to love about this book: the weaving of Bible verses throughout, the courage and fortitude of Annie, the explanation of how a bill becomes a law, the involvement of children, and the theme of becoming more than you think you are. One warning – although it’s not glorified, the treatment of the wild horses may be hard for horse lovers to read. 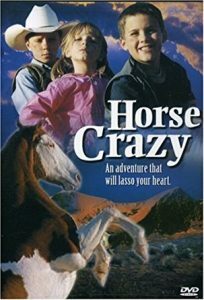 If you have a girl who is as horse crazy as I was, consider this book. 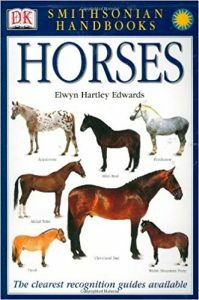 500 illustrations and pictures that teach how to identify different breeds of horses. It gives a picture of the horse, origin of the breed, and other information. Note: there are a few pages at the beginning that talk about the evolution of the horse. This is another nonfiction book by the author of the Misty of Chincoteague series and Mustang, Wild Spirit of the West. It’s shorter with fewer breeds featured, but it’s filled with interesting facts of different breeds. 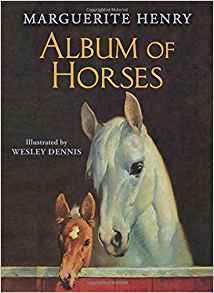 Another beautiful nonfiction book about horses. This book includes information on care of horses as well as riding lessons, etc. It focuses more on English riding, and I feel like it’s geared for a person just starting into the horse world. I know this is supposed to be about books, and I know you would rather have your kids flipping pages than sitting in front of the screen. However, I have to mention three movies your middle-school girls will love. Adapted from an Australian poem by A.J. 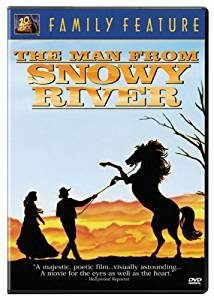 (Banjo) Paterson, The Man from Snowy River tells the story of Jim Craig, who must leave the mountains he loves to take a job after the death of his father. He wins the heart of Jessica Harrison, the daughter of his boss, by helping break a high-strung colt. But when the colt joins the wild horses, Jim must fight to restore his honor and prove he is a man. As a warning, there is a fight scene and a few swear words. 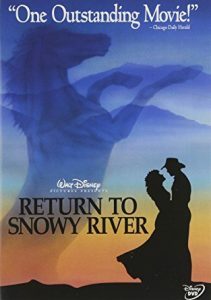 In The Return to Snowy River, Jim Craig returns to his home with high hopes for his future. But things have changed. Jessica is being pursued by another man, and her father doesn’t want Jim around. Jim must win Jessica’s heart again, rescue his herd of horses, and stand against wrong as a man. Again, as a warning, there is fighting, a young man gets killed by the wild stallion (although you don’t see the horse doing it), and there are some swear words. 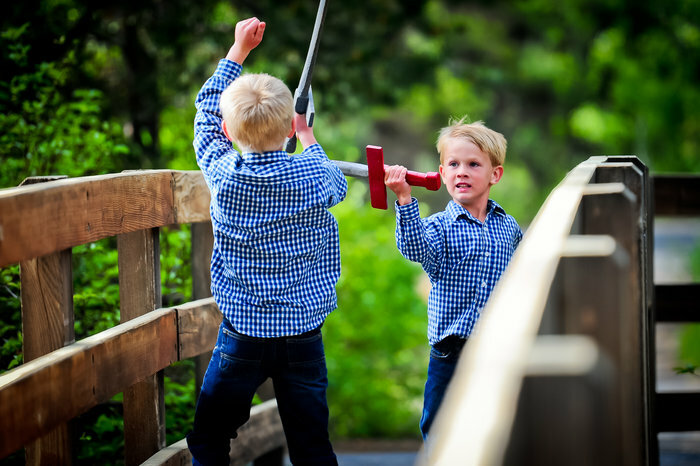 Tyler, a ten-year-old, sneaks away to his big brother on a ranch in Nevada. There he hears of the legends of a wild stallion named “The General.” With his two friends, they learn that horse thieves have come to capture this wild stallion, and they decide they must catch the stallion first to save him. Time to join the ride by sharing your favorites! 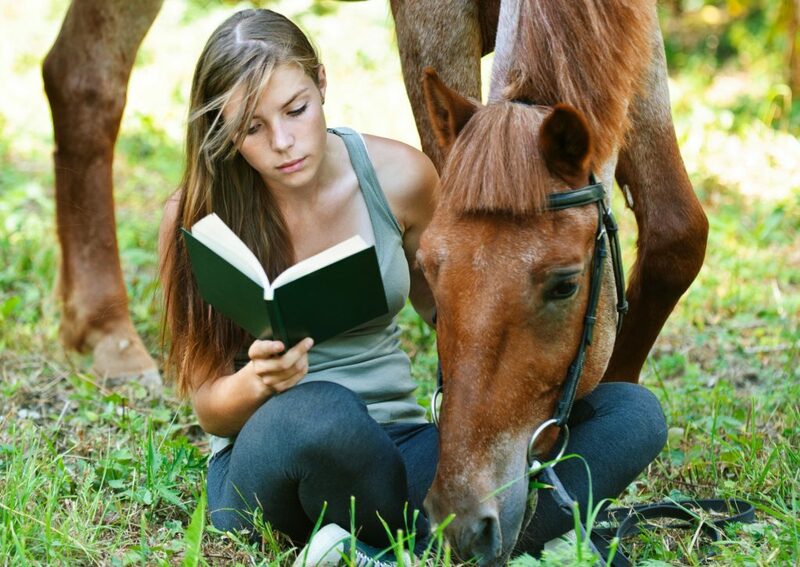 What books about horses do you love? 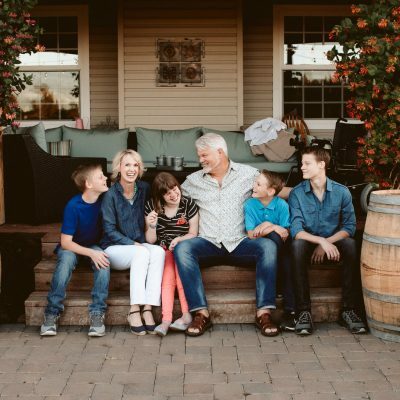 Vicki V. Lucas gave up her career teaching English as a Second Language to wander in unknown worlds with her husband as they raise their two daughters in Central Idaho. 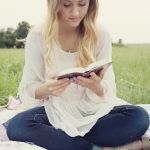 Along with Flashes of Ember and Ember’s Choice, she has published Toxic and Rancid, a Christian fantasy series for teens and tweens. 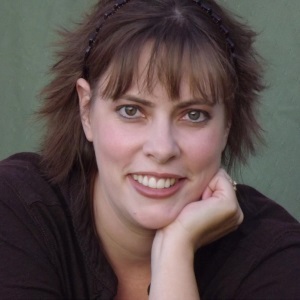 She has also written a young adult supernatural novel called Devil’s Pathway, a nonfiction book called The Truth About Angels: What the Bible Says, and a short story series titled Angel Warrior Files. Explore further at vickivlucas.com. I would add stories by Rebecca Ondov. 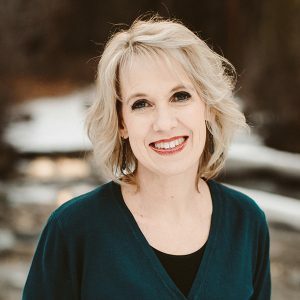 She lives near me here in Montana and has written people’s beautiful stories of God working through horses to help people.